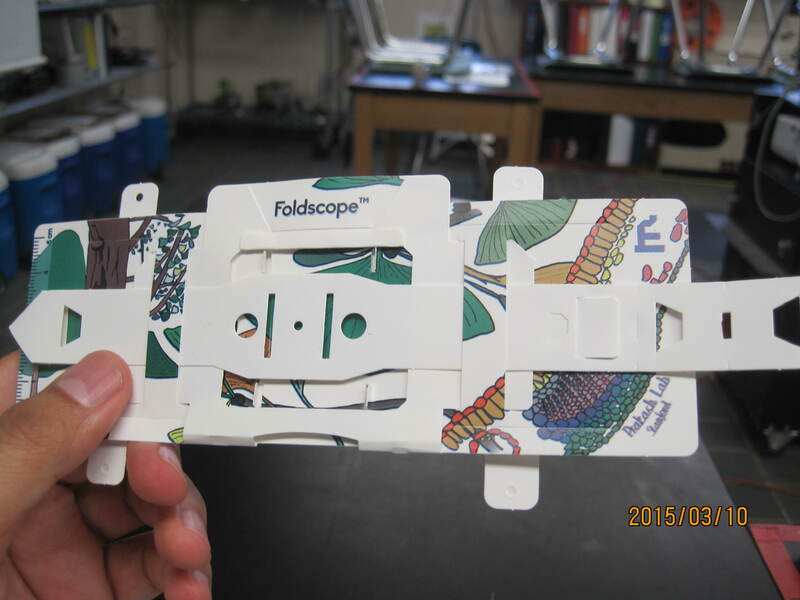 Foldscope built by Jose Martinez, Marine Research Scholar. Earlier this year, the Marine Biology Research Program was chosen as a Beta tester of the latest in microscope technology – the PrakashLab Foldscope – from Stanford University. 10th grade Marine Research Scholar, Jose Martinez, stepped up to the challenge of building and testing the scope. To prepare, he wrote down a comprehensive step-by-step guide to building the scope. After 45 minutes of work he was able to successfully project an image of an amoeba on to a dark wall using the Foldscope and his cellular phone lamp. Jose is formulating a project to record all things microscopic associated to the Hudson River Estuary. For a great video on Foldscopes in Ted Talks click here and for more images of Jose’s work click here. 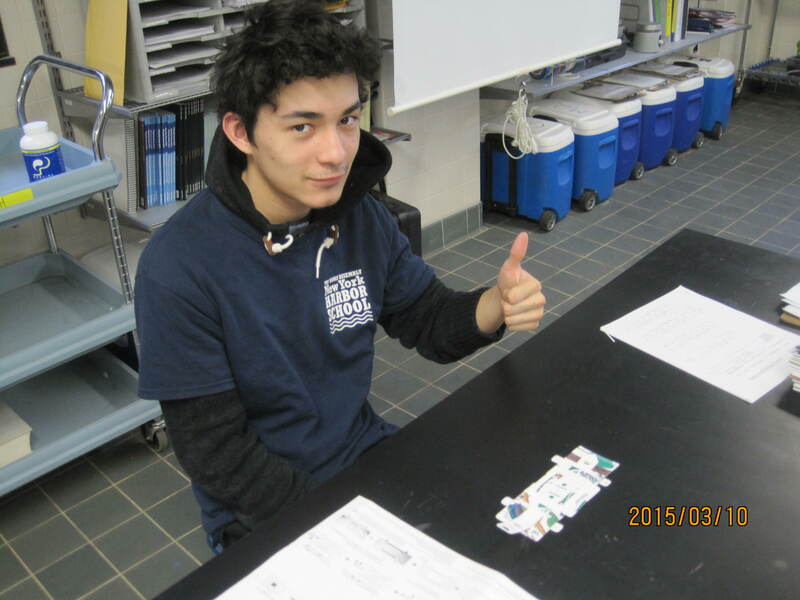 Marine Research Scholar Jose after building the Foldscope. Welcome to the 2014 – 2015 Marine Biology Research Program! Graduating Marine Research Scholar, Makayla with program instructor Mauricio González. Welcome scholars, guardians, industry partners, and friends to the 2014 – 2015 school year at the Urban Assembly New York Harbor School. This year we again have a lot to celebrate! Our Program, Marine Biology Research (MBRP), has been approved by the State of New York as an official Career and Technical Education (CTE) Program of Study. After 3 years of intense work finishing our self-study, writing curricula, seeking out strategic industry partnerships, aligning instruction to Common Core, CDOS, and NYS standards, and shining during our external review, our 2014 marine research scholars graduated with the golden seal of CTE. Although graduation indicates the start of summer and vacation for most, it gave the instructor, Mauricio González, time to work on the marine science lab. All the recirculating systems were serviced and shelving units were installed to store all our science gear. Makeda, Advanced Marine Research Scholar, at the New York Harbor School’s 3rd Annual Science Symposium. Marine Research Scholars Cézanne, Pierre, Raphael, and Zain (not shown) at the 2014 UBP Symposium. Congratulations to our 10th grade Marine Research Genetics Scholars! On May 27th they presented their genetics project at the 2014 Urban Barcode Project Symposium hosted by the American Museum of Natural History. The team communicated their findings with molecular biologists from around NYC. Their project titled: “The Walrus and the Carpenter: Searching for Genetic Similarities and Differences between Wild and Native Populations of Crassostrea virginica” sought to determine if there have been any mutations in the Eastern Oyster’s mitochondrial DNA after its long history of selective breeding. Click here to read more. 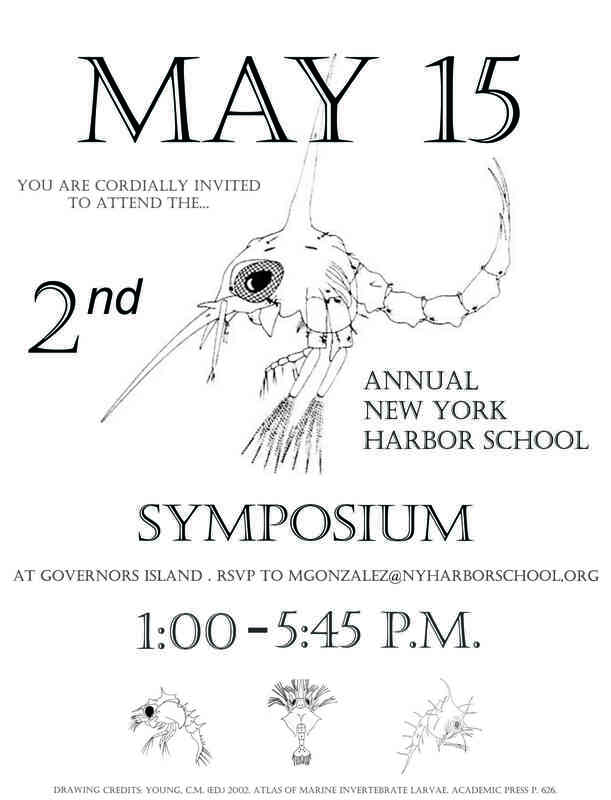 You’re cordially invited to attend our 3rd annual Science Symposium at the New York Harbor School on May 15 starting at 1pm. Experience cutting edge science from our very own Marine Research Scholars and our special guest, Dr. Peter Morawski, from the National Institute of Health. Dr. Morawski will be sharing his journey to a science career and talk about his latest research in molecular immunology. Stay tuned for more information. Go New York Harbor School science!